Leber Hereditary Optic Neuropathy. Commonly referred to as LHON, the disease is a mouthful to pronounce. On average, only 100 United States citizens are diagnosed per year, yet those 100 lives are drastically changed the moment symptoms start to unfold. Dreamscape Foundation Founder Joe Sehwani is one of the few to inherit it unexpectedly. His experience was a core influence in the creation of our non-profit. Yet he isn’t the only one who had to learn how to live life anew thanks to this rare disease. Kenny and Justin Jongsma are two young examples. For the last 7 years, they’ve been adapting to the limitations brought on by LHON from their home in New Jersey. The disease impacts one’s central vision to a degree that is often irreversible. Below is their story, told from their own perspective. 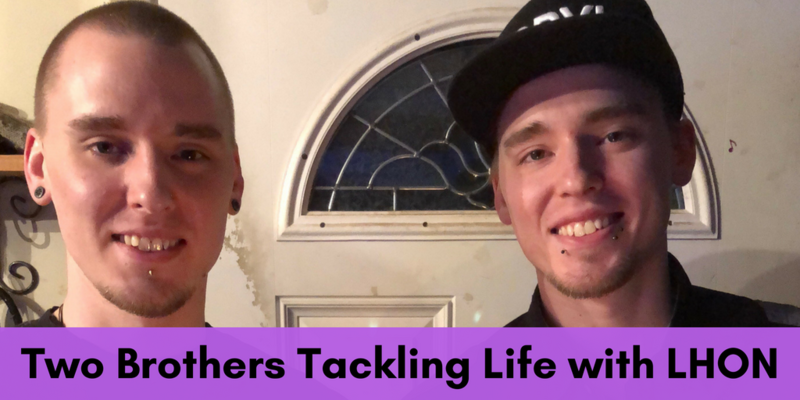 From the moment of diagnosis to how they adapted to living with their disability, the 28-year-old twins share their insight on what life has been like with LHON. The onset of symptoms came without notice. Justin was the first to experience them. 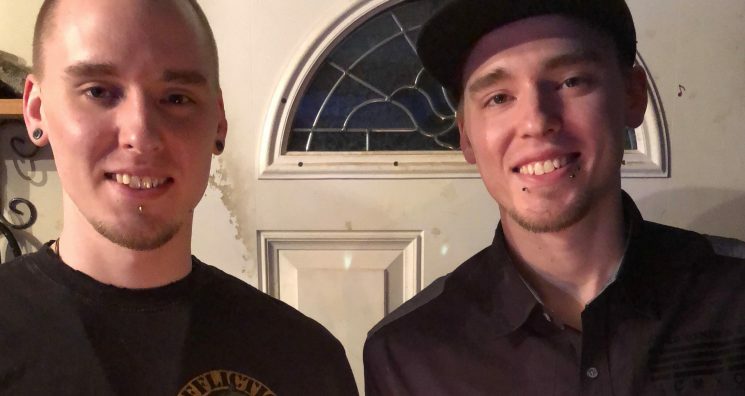 He was 21 and already used to wearing glasses and contacts, so when the symptoms first began he simply thought it was time for a new prescription. “I went to the eye doctor and she said, ‘That’s not good’,” he recounted. “Of course, that’s not something you want to hear.” He booked additional appointments, but it wasn’t until he woke up one day and couldn’t see his television that he realized something was truly wrong. From that point on, his vision began to decline more rapidly. “I was very scared and very depressed for a while,” Justin confessed. “To wake up one day and not be able to do everything you love to do and are used to doing… I took it pretty rough.” Within a month or two, Kenny’s own symptoms followed. Together, they began searching for answers when they discovered that it was LHON, a hereditary disease carried by their mother. Their uncle had it, but neither of them had ever fathomed the disease would be passed on to them. “I started getting nervous,” Kenny said. “I didn’t know much about it. I had a lot of questions. How bad are my eyes going to get? When will it stop? Is it going to stop?” Their diagnosis did little to stave those fears, as the disease came with more questions than answers. Yet they had to press on and learn how to live with their newfound challenges, one step at a time. Living with LHON is a challenge. One that both Justin and Kenny will admit isn’t always easy. Although they endure and overcome its challenges together, they’ve experienced both highs and lows along the way. In these moments, the twins find their optimism and inspiration in others. “Ever since I started going through this, I have had a humongous respect for anybody that has a handicap or disorder they have to go through in life,” Justin said. “Everything you go through takes a toll. To be strong enough to go on and deal with anything like that is very courageous. Seeing other people deal with these problems gave me courage and made me very positive. “Every day is a constant reminder that I can’t see anything, but I never let it bring me down anymore. I had that time in my life and it’s over.” Justin’s words, spoken with conviction, were shared by his brother. When asked what advice they would give to others in similar circumstances, they didn’t hold back. “Whether it’s this or any disability or negative thing you’re dealing with in life, don’t spiral down into depression. Don’t let it stop you,” Kenny stressed. “There may be things that your situation makes difficult. There may be things you may have to give up in certain situations. But you can’t spend the rest of your life wishing it could be different. If there’s nothing you can do about it, you have to find a way to push through it. “That’s what we’re doing. We’re doing the best we can with the hand that we were dealt and we’re not letting it bring us down.” “It’s a lot easier said than done,” Justin confessed. “So do your best to find support. Even if it’s just from one person, like a family, friend, or loved one, support is everything. That’s what got me and Kenny through a lot of stuff. If you don’t have anybody there, it makes it a lot darker and lonely. Support is what helped us.” Whatever your disability may be, Dreamscape Foundation encourages others to become rooted in both hope and support. For more information on support resources or how you can get involved in making life more accessible for those with disabilities, reach out to us. My husband was the first genetic diagnosis in the USA by the Center of Disease Control , January 3, 1999! On November 16, 17, and, 18th he woke up to not being able to see his own face. Over 3 days 90% of central vision loss. He a computer engineer, and it was his 35th birthday He just celebrated his 20th anniversary and it is impossible to tell his vision is 20/450, or 90% BLIND!! !